Categories > Card Magic > Memorized Deck > Mnemonica Arrived! I'm excited that my copy of the new printing of Mnemonica has finally arrived! It looks great, with high quality printing and binding as I expected. 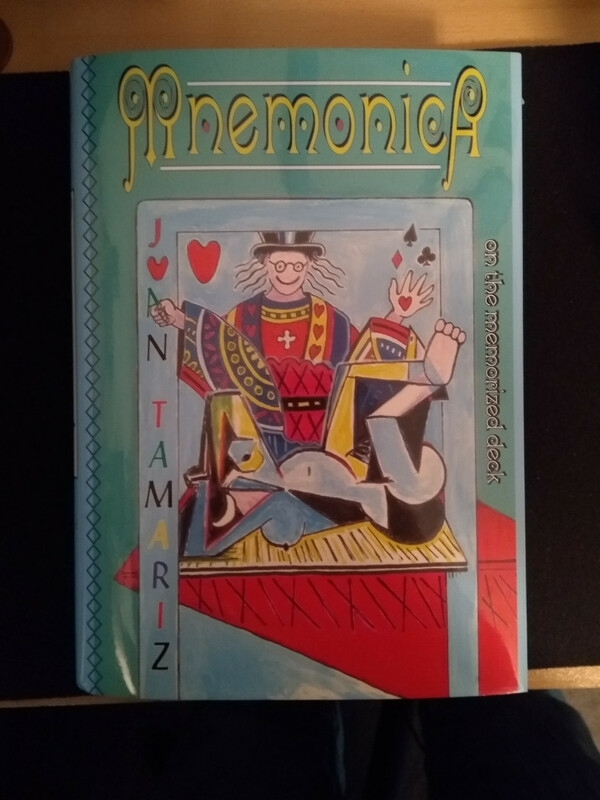 I'm looking forward to getting deep in the holy grail of memorized card magic, especially considering prior to this printing it was unknown if it would be printed again and used copies were being sold in the hundreds of dollars. Getting a new copy in my hands for $65 is fantastic. This is a limited printing, and anyone who has it is claiming that they are running out, so if you are interested now is the time. Who knows when or if it will be printed again. Right now Penguin says they have just over 20 in stock. Ordered my copy today........I should have bought this years ago. I've heard/read good things about it. What an exciting journey that you're embarking on!! We should have a Saturday Session devoted to the memorized deck! Every time someone posts a book here I get impossibly jealous. Today is no exception. This book is one that you live with, like Expert Card Technique or Close-Up Card Magic. Every few years you re-read it parts of it again and things that didn't make sense then or you weren't ready for then, come to the fore. Truly a great book. How lucky we are that Juan Tamariz took the time to write this all down.